Chalk line with chalk. 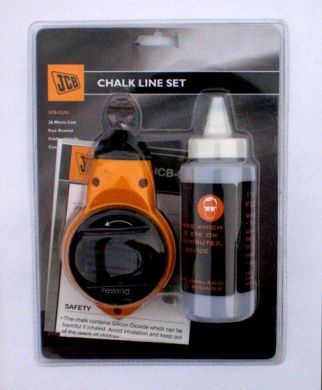 A good quality chalk line which is a must for laying out ceiling decoration or fitting cornices etc. The line is hooked on a nail and then stretched to the second mark. whilst holding the line taught it is picked up and released snapping a line in chalk along the distance. Thus the room can be marked out single-handed. 26 metre line with a fast rewind and folding handle. Please Note:- Product and manufacturer may vary from illustration.